The idea of this page is to try to answer the questions frequently asked of coppice workers at shows. Use the links below to navigate around the page. What can coppice products be used for? What are the benefits of landscape and wildlife conservation? Many British broad-leaved trees including hazel, chestnut, ash and oak can be coppiced. Coppicing means cutting the tree or bush down to the stump. The plant then re-grows producing multiple stems called rods or poles. These can then be harvested and the poles converted into a wide range of products. The age that the coppice is cut will to some extent depend on the final product. As shown above chestnut was cut after two to four years for walking sticks although this market has virtually disappeared in recent years. This is probably one of the most commonly asked questions after "what is coppice?". Many people see derelict coppice and think that it is wild wood. In most cases this it just neglected woodland. Coppicing is probably one of the oldest forms of woodland management with archeological evidence of woven fish traps dating back to 5000BC. Much of the semi-natural ancient woodland in the south of England has developed under coppice management with many areas being cut on rotation up to the mid 1960s, with others still being cut today. In some woodland there is evidence that the coppicing has been carried out for more than 2000 years. As well as the products mentioned above, many of the species make very good firewood and charcoal. Coppicing has many benefits to the countryside, the largest of which is its value to landscape and conservation. The British landscape would be a much less attractive place if our woodlands were lost. Here in the South we have some of the most wooded counties in England, with Hampshire, Dorset, Sussex and Kent heading the list. Many species of British flora and fauna have developed under the coppice management system and are only found in working coppice. Coppice woodland offers a wide range of habitats. Long continuity of the coppice system has enabled many species to adapt to this system. Coppice maintains close links with the original ancient wildwood structure. Coppice is often appreciated for its magnificent displays of wild spring flowers, some of which are almost entirely restricted to ancient coppice, for example Solomon’s Seal and the Early Purple Orchid. Woodlands are an important habitat for three-quarters of our 55 species of resident butterflies and the main habitat for 16 of them. Working coppice gives diverse conditions and the numerous sunny clearings are favored by many species. Nightingales and dormice can survive in derelict coppice for longer periods but they need large areas of suitable habitat to sustain viable breeding populations. As noted above there are a number of rare species that rely on coppice woodland for their habitat. These include species such as the Orange Woodland and Pearl Bordered Fritillary butterflies, as well as the common or hazel dormouse. Many Ancient Woodland Vascular Plants (AWVP), usually known as ancient woodland indicator species, rely on ancient woodland or hedgerows for their habitat. As the name implies, these species are a good indicator of the age of a woodland, so the more AWVP species the older the woodland. Hampshire Coppice Craftsmens' Group shared a post. Coming up we have a seminar event taking place at Small Woods along with Grown in Britain. A great opportunity to find out more about #Woodsure, Small Woods, Grown in Britain and the standards and legislation for wood fuels. Well the suns out and people are dusting the BBQ's off. 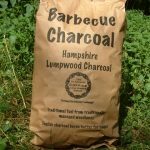 So why not support your local charcoal burner? • local skills, and rural trade. This course was run by group member Phil Clayton who is also running a gate hurdle course there later in the year.